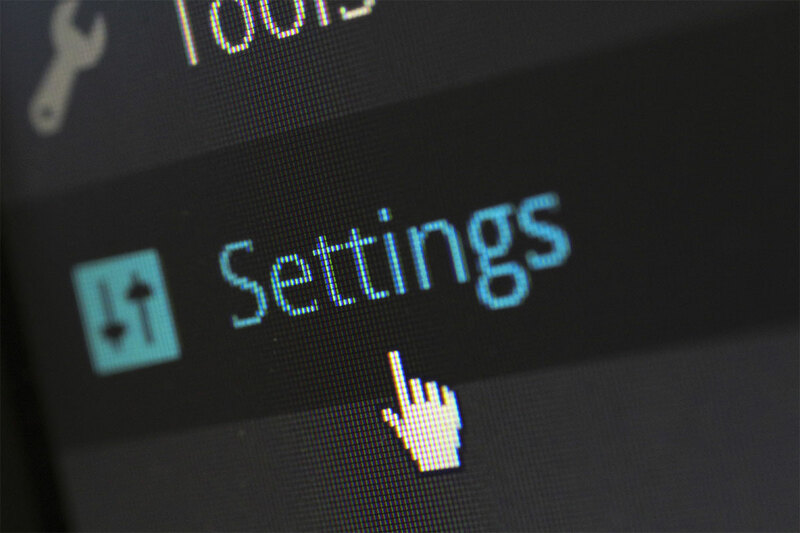 Have you already heard about the ongoing efforts to upgrade our community’s website up to the tomorrow’s standards for UI and user-experience? In case you have not, consider subscribing for the Topcoder blog and newsletters, and also to check out the alpha preview of the new challenge-listing page! At the same time, we are actively working to bring numerous fixes and enhancements to the existing sections of Topcoder website. The second edition of Topcoder Website Bug Bash has just finished, and I am eager to share the results! 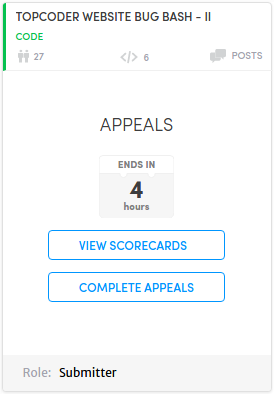 We have added View Scorecards and Complete Appeals buttons to the challenge cards in your Dashboard. They appear there during Appeals phase; to conveniently link you to the corresponding pages in the Online Review. Some further enhancements are necessary and will be done (e.g. the Complete Appeals button does not turn yet into Resume Appeals after you use it), but, I believe, they are quite useful already anyway. Similar buttons have been added to the Challenge Details page for development challenges. Again, further enhancements are necessary (including support for these buttons for design challenges), and they will be done as soon as possible. We have fixed the blog feed in the Dashboard (for some time it failed to load). We have modified the mobile view of active/past challenge listings in your Dashboard. Now it is way easier to scroll through them on your mobile device. Thank you for your attention! I hope to see you among participants of our next Bug Bash which will happen some time soon. Remember, even if you are not in the mood to code, you still are welcome to pass by our issue tracker to suggest fixes and/or enhancements to our favorite website! 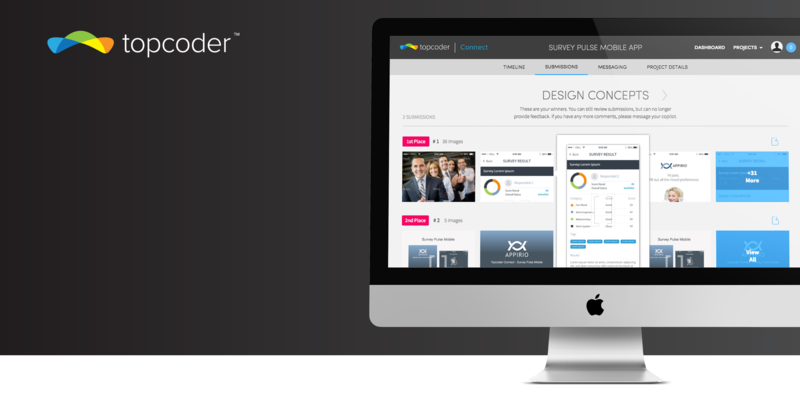 The spirit of innovation and competition is one of the driving factors for Topcoder. Innovation moves the world forward. Significant problems can be tackled….